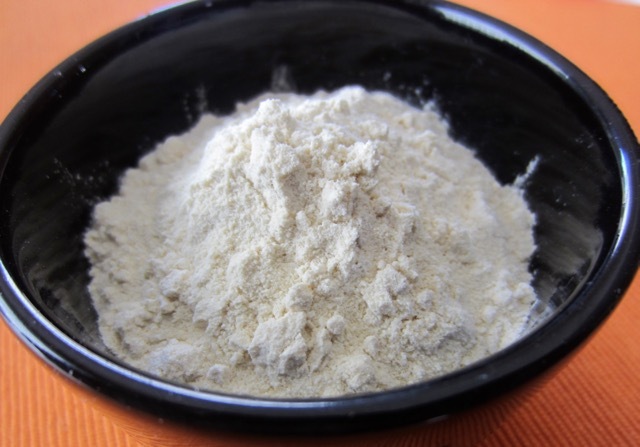 What is gluten flour (Vital Wheat Gluten)? Gluten flour is known as vital wheat gluten, wheat gluten powder or gluten powder. It’s a high protein flour or free-flowing high protein powder, extracted from hard wheat. It contains over 70% protein by weight. Vital Wheat Gluten is the natural protein found in wheat. Gluten makes up 75-85% of the protein found in wheat. The higher the protein content in the flour, the higher the gluten content. Gluten is insoluble in water. All purpose flour has 10-13% protein content. Bread flour has 12-14% protein content and cake flour has 6–10% protein content. 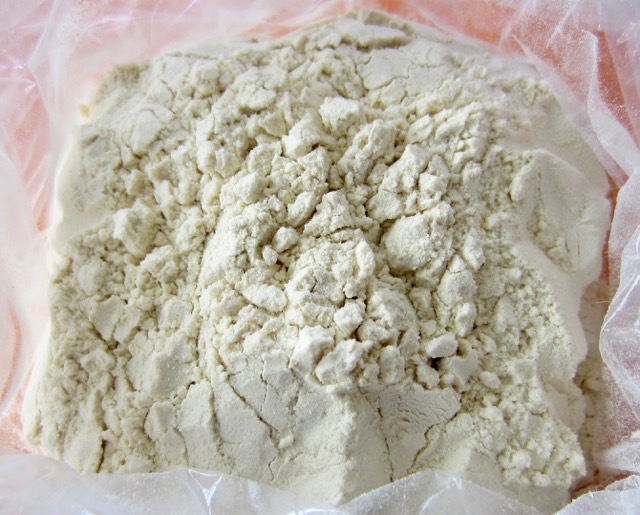 Cake flour is usually made from soft wheat. What is gluten flour (Vital Wheat Gluten) used for? Gluten flour is added to low gluten flours like rye flour or coarse whole grain flours to improve their gluten content and boost the rising and elasticity of the dough. It also improves the texture and chewiness of the bread which would otherwise be dense. It is also added to recipes calling for non-gluten flours like rice or buckwheat flour. It lightens the texture and improves the rising ability. Some recipes call for 1-2 tablespoons of gluten flour (or sometimes they refer to it as vital wheat gluten or gluten powder). When gluten flour is added to boost the flour, the dough must be worked vigorously preferably using a bread machine or electric mixer to induce it to rise to full capacity. Water can be added to gluten flour to make imitation meat because gluten is insoluble in water. (Happy Herbivore). If you combine water with gluten flour it becomes highly elastic and taffy-like. When imitation meat is cooked in broth, the gluten absorbs broth and flavour and becomes firm to the bite. It’s also use to make Seitan a high-protein vegetarian food made from cooked wheat gluten. How much gluten flour should be used in baking? Gluten flour is used in small quantities in baking. If used in excess, it can toughen the bread, because it tends to absorb more moisture from the dough, than regular bread flour. For hard rolls or heavy breads such as French, Italian or raisin, use 2 – 3% gluten flour in relation to the main flour weight. For dark breads including rye, use 1 – 3% gluten flour. For yeast raised sweet goods, use 1/2 – 1 ½ % gluten flour. For pretzels or crackers, use 1 – 2 % gluten flour. Where Can I buy Gluten Flour? 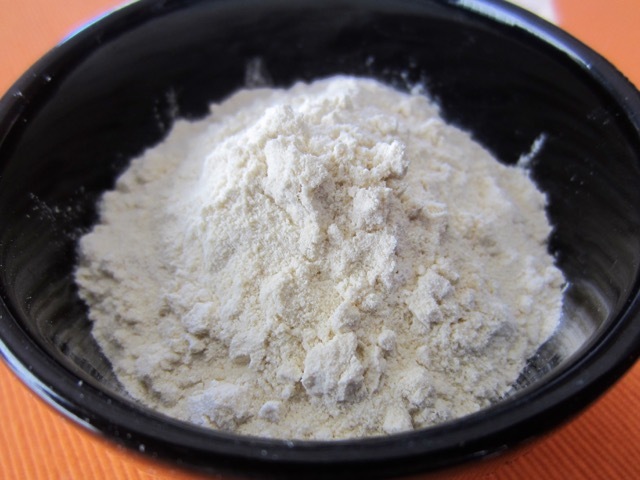 Gluten flour is sold in bulk and grocery stores and health food stores. Well known brand include Bob’s Red Mill and King Arthur. If you live in Canada you can find it at the Bulk Barn Store. Prev What is Celery Seed? Next What is Borlotti (Cranberry) Bean?